The North entered the war with seemingly-decisive advantages in almost every measurable category. This has led to a common perception, often rooted in analysis that begins with the Confederate surrender at Appomattox and works backwards, that the South faced such overwhelming odds as to make victory impossible. A corollary to this idea suggests that the Confederacy managed to fight as long as it did only because of superior generalship and a gallant effort on the part of its common folk inside and outside the army. In fact, either side could have won the war, as an assessment of the contestants' strengths and weaknesses suggests. The N—did enjoy a number of advantages. The 1860 census placed the population of the United States at about 31,500,000. Of these, the 11 Confederate states had about 9,100,000 - 5,450,000 of whom were white, 3,500,000 slaves and 130,000 free black people. The North boasted a population of about 22,400,000. A number of factors somewhat altered these basic figures. A number of white people in states remaining loyal to the Union - especially the slaveholding Border States of Missouri, Kentucky, Maryland and Delaware -supported the Confederacy. Conversely, many white residents of the Confederacy -especially in the mountain areas of western Virginia, western North Carolina, eastern Tennessee and parts of Alabama, Texas and Arkansas - remained loyal to the Union. 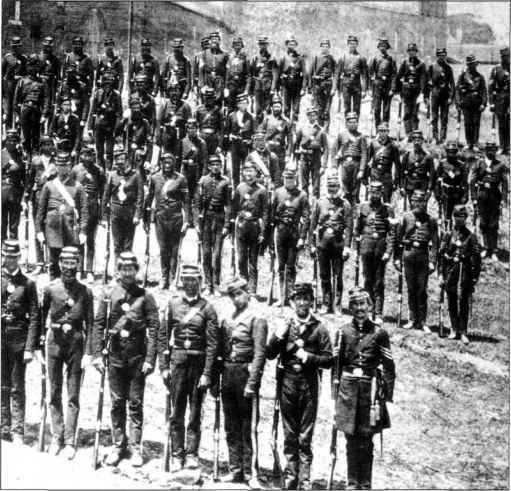 Moreover, about 150,000 black men from the Confederate states eventually served in the Union army. That slaves did not carry arms for the Confederacy was offset by the fact that their labor freed a disproportionate number of white southern males to fight. With all factors taken into consideration, the North enjoyed about a 5-2 edge in manpower. Roughly 2,100,000 men fought for the Union (roughly 50 percent of the military-age male population), while between 800,000 and 900,000 served in the Confederate army (nearly 80 percent of the 1860 military-age males). Hundreds of thousands of men volunteered on each side during the first few months of the war, after which enlistment fell off sharply. Both sides eventually resorted to national conscription (the Confederates a year earlier than the United States), though some men continued to enlist freely until the end of the conflict. Little separated the two sides in terms of the quality and potential of their volunteers. Haphazard training left many thousands of men woefully unprepared for the rigors of active campaigning. Units led by West Point graduates or other officers with military experience fared better than those commanded by volunteers whose enthusiasm far exceeded their expertise. Volunteer officers and enlisted men learned their craft together in camp, on the march and in the unforgiving crucible of combat. 97 per cent of the nation's firearms in 1860, held more than 80 per cent of the national bank deposits, accounted for more than 85 per cent of capital invested in industry and manufactured 15 times as much iron as the Confederate states and virtually all of the nation's textiles (though heavily dependent on southern cotton) and shoes and boots. There were 800,000 draft animals in the North compared with just 300,000 in the Confederate states - a tremendous logistical advantage in an era when armies moved by horse and mule power. In agricultural production, the two sides stood roughly at parity in terms of the ratio of production to overall population. government began the conflict with an army and a navy, while the Davis administration had to build from scratch. But the United States army numbered only about 14,000 in the spring of 1861 (many southern officers had resigned to support the Confederacy) and lay scattered across the country in small posts, many of them in the vast trans-Mississippi territories. Like the Confederacy, the North had to build huge armies of volunteers with no previous military experience. The North initially kept the regular units together rather than parcelling out veterans among volunteer units, thus limiting the nation's soldiering expertise to a handful of regiments. The United States navy began the conflict with only 42 ships in commission, most of which patrolled waters far from the American coast. In the spring of 1861, when Lincoln declared a blockade of the Confederacy, only three vessels were available for immediate service along the southern coast. Moreover, the United States navy was a deep-water force with little expertise in the type of coastal and offshore operations that would be required to suppress the southern rebellion. Still, the navy must be reckoned a northern advantage because the Confederacy possessed no naval force at the opening of the conflict and lacked the industrial base to construct modern warships. The Confederacy also entered the war with decided advantages. Perhaps the greatest lay in requisite conditions for victory. The Confederacy had only to defend itself to achieve independence, whereas the North faced the prospect of invading the South, destroying its capacity to wage war and crushing the Confederate people's will to resist. The Confederacy could win by default if the northern people chose not to expend the human and material resources necessary to fight a modern war. If the North did commit to a major conflict, the Confederacy could triumph by prolonging the contest to a point where the northern populace considered the effort too costly in lives and national treasure. The American Revolution offered an obvious example of how the colonies (with vital assistance from France) had faced daunting material disadvantages against Great Britain, but had won by dragging the war out and exhausting the British commitment to win. Defending home soil conveyed other advantages to the Confederates. Soldiers protecting hearth and family typically exhibit higher morale than invaders, and Confederates often had a better grasp of topography and local roads. Friendly civilians provided information to southern officers, as when a local man helped Thomas J. 'Stonewall' Jackson find a route that would allow his command to launch its famous flank attack at the Battle of Chancellorsville on 2 May 1863. Geography promised an overall military advantage to the South. The Confederacy spread over more than 750,000 square miles (1,942,500 square kilometres), much of it beyond the reach of good roads or rail lines. A 3,500-mile (5,630km) coastline contained nearly 200 harbors and navigable river mouths, and Texas shared an open border with Mexico - features that rendered a truly crippling Union blockade nearly impossible. 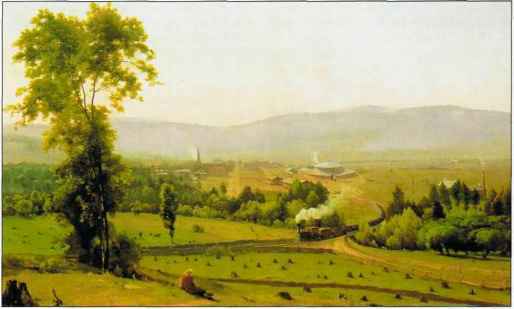 In Virginia, the Shenandoah valley offered a protected corridor through which Confederate armies could march to threaten Washington and other parts of the North, and several rivers that flowed generally west to east presented potential barriers to Union overland movements against the southern capital. On the negative side for the Confederacy, the North could use these same rivers as waterborne avenues of advance. A persistent myth about the Civil War holds that the Confederacy enjoyed better generalship. Such a view makes sense if applied only to the Eastern Theater in the first two years of the war. The Army of Northern Virginia, under the guidance of Robert E. Lee and a talented cast of subordinates who included Stonewall Jackson and James Longstreet, won a series of dramatic victories in 1862-63 that created an aura of magnificent accomplishment. Overall, however, North and South drew on very similar pools of officers. West Pointers held most of the top positions in all Civil War armies, and they shared a common heritage. They took the same courses from the same professors at the academy, learned the same lessons in class and on battlefields in Mexico, and tended to subscribe to the same strategic and tactical theories. They understood the dominance of the tactical defensive because of the increased killing range of rifle muskets and the value of field fortifications. They therefore tried to avoid direct assaults by turning an enemy's flank (which often proved impossible). They also sought to operate on interior lines both strategically and tactically. Some generals proved more adept at translating these ideas into action, but most Civil War campaigns and battles were based on them. Apart from the West Pointers, both sides appointed some political generals and saw a few untutored officers achieve substantial fame. The Confederacy seemed to have a clear advantage in their Commander-in-Chief. Jefferson Davis was a West Point graduate who had commanded a regiment in the war with Mexico and later served as Secretary of War. Abraham Lincoln's military credentials consisted of a short stint as a volunteer junior officer during the Black Hawk war of the 1830s. But Lincoln learned quickly, and he and Davis both exhibited a sound grasp of strategy as well as military theory and practice. One variable could throw off the entire equation. The possibility of foreign intervention, particularly by Great Britain or France, received enormous attention from both governments and the northern and Confederate people. The example of the American Revolution once again stood out. Intervention along the lines of French participation in the Revolutionary War could yield profound military and economic consequences. In summary, the North entered the war with a range of considerable advantages, but the Confederacy by no means faced a hopeless struggle. Other nations had won against longer odds. In the end, it would come down to which side mustered its human and material resources more effectively, found the better military and political leaders, and managed to sustain popular support for the war effort. What were some of the strengths and weaknesses of the union and the confederacy? What are the strengths and weaknessses of mining? What are some of the union's and the confederate's states weaknesses and strengths? What are some strengths and weaknesses in the production of the confederacy? 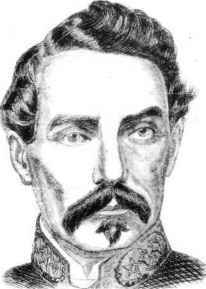 What were P. G. T. Beauregard strengths and weaknesses? What were the strengths and weaknesses of the union and confederate army? What is some of the Union's and confederacy Weakness and strengths? Which of the union’s strengths led to their victory? What were the strengths and weaknesses of the south in civil war? What was the weakness of the union army? What were the strengths of the union (north)? What are the main strengths of the confederacy?